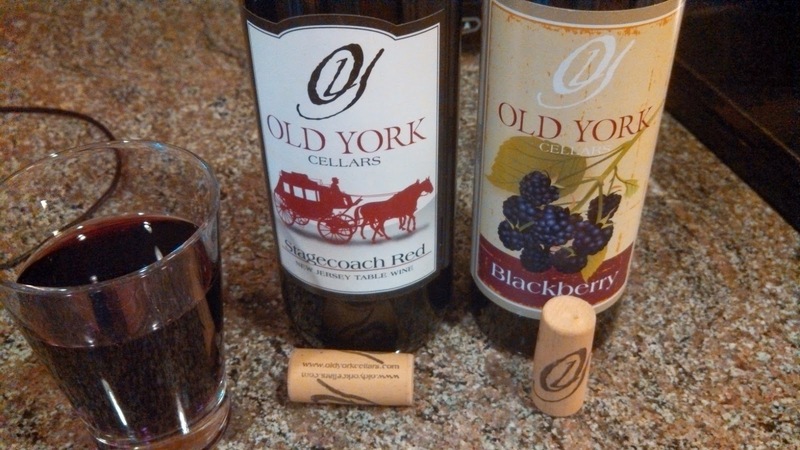 Last night Old York Cellars hosted their quarterly #VirtualVines online tasting; this time featuring their Stagecoach Red & Blackberry wines along with everyone's favorite chocolate maker, Laurie Douglas from Laurie's Chocolates. Winemaker Scott Gares started the tasting by introducing the Stagecoach Red ($16), a part of their seconday Stagecoach label named to honor the transportation service which passed through the area on its route between Philadelphia and NYC. The Stagecoach Red is a blend of Malbec 50%, Cabernet Sauvignon 25%, and Merlot 25%. It took his team seven iterations of different wines and percentages to create this final blend and the result is a fruit forward, very approachable wine. Besides being fruity, it has smooth tannins with a touch of spice (black pepper) on the finish. The suggested food pairing was tomato pizza and turkey burger and the chocolate pairing was dark chocolate with almonds. Laurie always recommends that the wine be sweeter than the chocolate and the little extra sea salt further mellowed the wine and reduced the bitterness in the chocolate and almonds. Moving to the Blackberry ($12), it's marketed as a dessert wine, but at 4% RS isn't as sweet as you would think. Gares stops the fermentation a little early in order to keep some of the natural sugars in the berries and the result is a wine that tastes exactly like a blackberry. The initial flavor is sweet blackberry fruit, but the finish is more tart which acts like acidity to balance the sugar. This is quite a tasty wine - and with chocolate - Laurie paired this with the Venezuela Single Origin 65% - one of here many single origin chocolates. 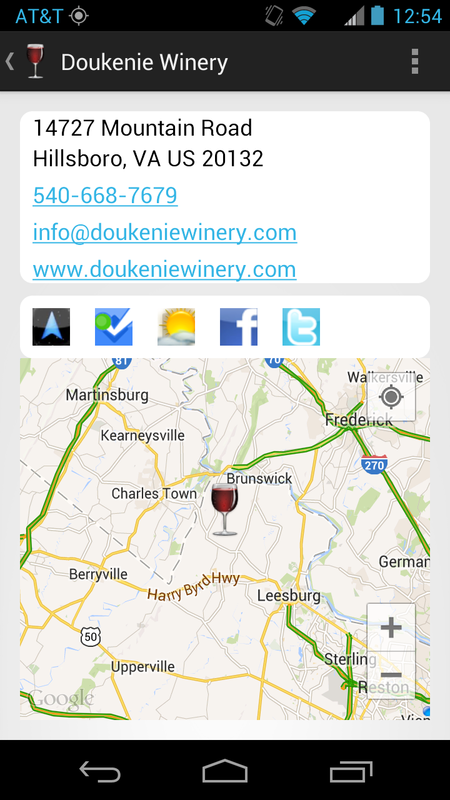 Once again, I find myself impressed with Old York Cellars - need to take a road trip soon with theCompass app and visit. Cheers. Every Tuesday I normally tune into Protocol Wine Studio's #WineStudio Twitter chat in order to learn about under appreciated wine regions and wine grapes. For the next few weeks, I'm more enticed about the sessions since I've received a package of wine from Rudi Wiest Selections to accompany they latest topics: #WineStudio Session XII – Germany’s Lesser Known Varieties from the Rudi Wiest Selections Portfolio. For the next few weeks we will learn about the German production of Silvaner, Scheurebe, Pinot Blanc, Pinot Gris, Pinot Noir and Lemberger from the forgotten wine regions of Franken, Pfalz, and Württemberg. Pretty cool. Last night we started with the Silvaner and Scheurebe wines from Franken, a region located in northwest Bavaria and the only wine region in the federal state of Bavaria. It is an old wine region, dating back more than 1,000 years and known for dry white wines - Fränkisch trocken (Franconian dry). Many times Franconian wines can be identified from the short, rounded and flattened bottle called Bocksbeutel. 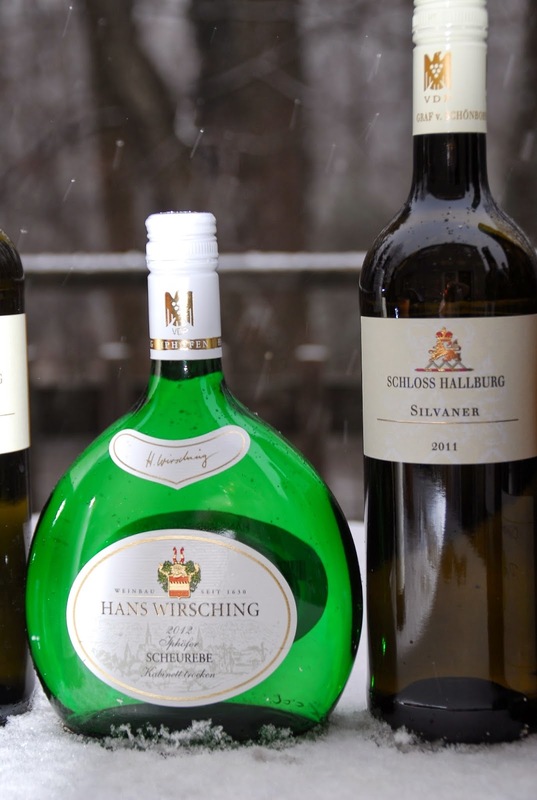 We started with the 2011 Graf von Schönborn – Schloss Hallburg Silvaner Dry, Estate (Franken) $20. For those unfamiliar with Silvaner, it is the offspring of a spontaneous crossing of Traminer and Österreichisch Weiss (literally Austrian White) and was once the most planted grape variety in Germany. Silvaner is considered a blank canvas for the expression of the specific vineyard. Schloss Hallburg is currently practicing organic farming (should be certified in 2015) where the vineyards consist of gypsum marl, limestone, gravely loess/loam and layers of clay soil. The result is a dry wine with powerful peach aromas leading to a saline green apple flavor, finishing with a lemon and citrus slightly acidity tail. A noticeably less acidic finish than Riesling, but enough to balance the fruit and minerals - in the words of Protocol Wine Sudio "elegant, but not pretentious". We moved on to the real suprise of the evening, the 2012 Wirsching Scheurebe Dry, Iphöfer (Franken) $27. Scheurebe (shoy-ray-beh) was bred in 1916 by Prof. Georg Scheu and is a cross of Riesling and an unknown wild grape. (The pairing was previously thought as Riesling & Silvaner, but modern DNA eliminated Silvaner while confirming Riesling.) The result is a Riesling type wine known as "Riesling’s evil, horny twin.” -- Terry Theise. The Wirsching Estate has an interesting history, now in its 14th generation, the Wirsching family has been making wine since the 1630's. But it wasn't always predestined. In the late 19th century the vineyards were ravaged by the phylloxera plague that devastated the European wine industry. The patriarch at that time was Andreas Wirsching, who passed away at an early age - possibly ending the family's winemaking tradition. But after WWI, his son Hans returned from the war and replanted the entire vineyards by hand using American rootstocks. In the early 1950's Hans obtained Scheurebe cuttings and planted them into their Kronsberg vineyard. Today Wirsching is among the best known & largest wine estates in Franconia. As for the 2012 Scheurebe, the nose is powerful - combination of tropical fruit and lemon - followed by a pineapple flavor. I mean - a big flavor, finishing with refreshing acidity. This is a very cool wine, ready to pair with your favorite Asian or spicy dishes. Next Up, Pinot Blanc and Pinot Gris. Cheers. Blue Danube Wine is my primary source for Eastern Europe wine and they supplemented my passion by hosting this week's #winechat discussion. 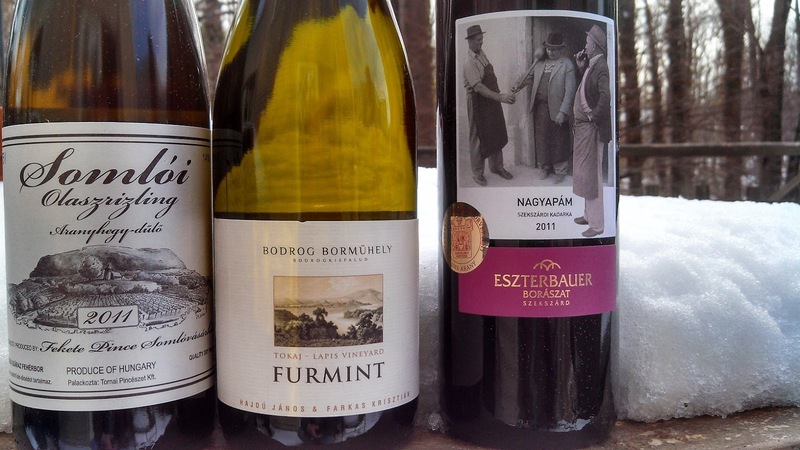 The focus of this tasting was Hungarian wines and Blue Danube chose three very traditional wine grapes: Kadarka, Furmint, and Olaszrizling. 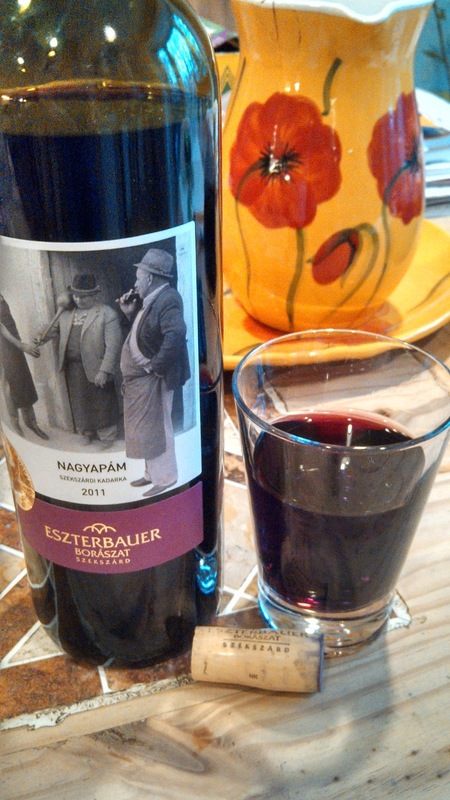 We started the evening with a slightly chilled red, the Eszterbauer Kadarka Nagyapám 2011 ($18). The Eszterbauer Winery is located in Szekszárd in southern Hungary near the Croatian border at latitude between the Loire and Bordeaux. Their 8 hectares of vineyards consist of chalk and loess soils which include 9 clones of Kadarka - a traditional grape that probably came to Hungary with the Serbs fleeing the Ottoman invaders. The name, Nagyapám, refers to Grandfather in honor of János Eszterbauer's father who drank Kadarka straight from the barrel. The grapes for the wine are sourced from the vineyard's oldest vines and the result is a Cabernet Franc like dark cherry wine with subtle spice and tart tannins and acids at the tail. 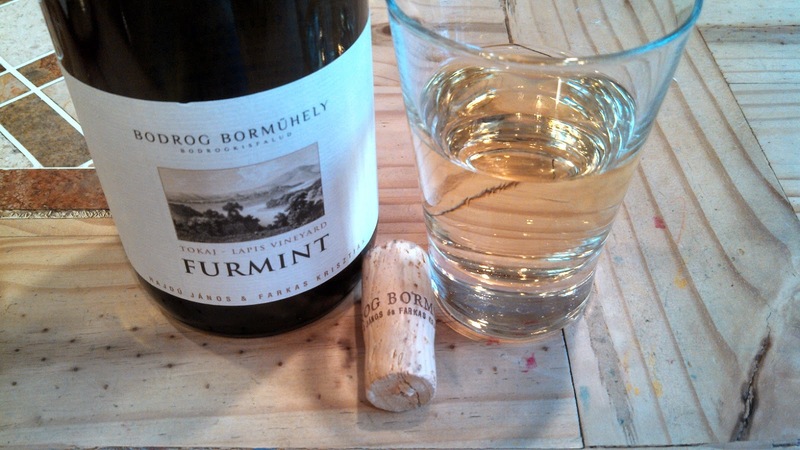 The second wine was the Bodrog Borműhely Furmint Lapis 2011 ($21.95), a 100% dry furmint from the Tokaj region. Known for the kingly Tokaji Aszu, Tokaj is situated in north-eastern Hungary and is the world’s first appellation system over 100 years before Bordeaux. Bodrog Borműhely produces a combination of dry and sweet wines, and the Lapis vineyard, clay and volcanic soils, sits just high enough from the Bodrog River and its floodplains the breezes dry the grapes to prevent Botrytis. This Furmint was fermented and aged in Hungarian Oak - undergoing full malolactic fermentation and then aged 9 months sur lie. The result is a peach & creamy wine with a toasted sugary pecan nose followed by a steely minerality. The wine finishes with subtle spice and decent acidity. I think this wine was the biggest surprise among my associates as many had never tried a furmint - let along a dry furmint. Well done. We finished the evening with the Fekete Olaszrizling 2011 ($24.95), produced from the Grandfather of Somló winemaking, Béla Fekete. Somló is Hungary’s smallest appellation and the area was once an underwater volcano. The oldest writings mentioning Somló wine date to 1093 with viticulture occurring earlier with the Romans.They know good volcanic soil when they see it. Located north of Lake Balaton in eastern Hungary, the app Somló appellation consists of only white grapes with Olaszrizling the favorite. Olaszrizling is actually the most planted wine grape in Central and Eastern Europe known as Graševina in Croatia, Welchsriesling in Austria, Riesling Italico in Italy, and Laški Rizling in Slovenia. Béla Fekete started making wine late in life, while in his late 50's, yet because of his longevity has been producing wine for 32 years. Approaching 90, 2013 was his last vintage, so tasting his 2011 Olaszrizling was a great honor. He uses non-traditional techniques, waiting for spontaneous fermentation in old 1200 liter Hungarian oak casks. He never stirs the lees nor completely seals off oxygen. And all wines are aged for 2 years before bottling. The result is a complex wine, white fruits, with plenty of minerals and salty elements fishing with good acidity. 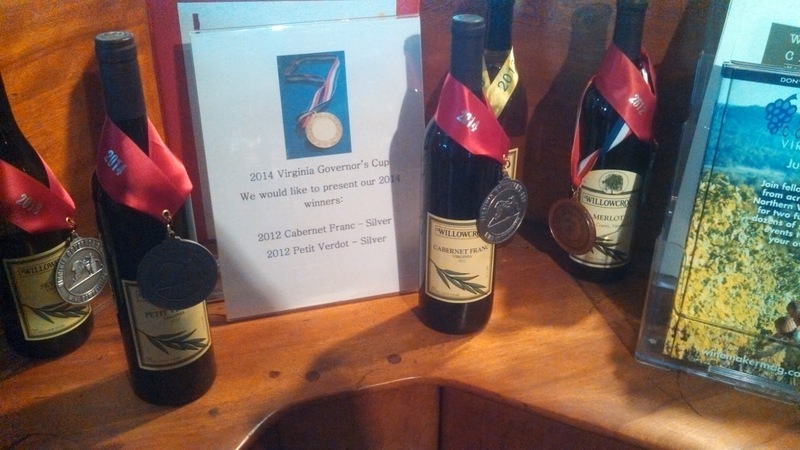 Cheers to all the wines and thanks to Blue Danube Wine for supplying them. Since these three obviously spend quite some time together discussing and sampling wine, one topic that constantly surfaced was a particular wine the result of the vineyard site or actions by the winemaker. They decided to experiment and shared a portion of their 2012 grapes (the first year each took over operations) grown in their grand cru vineyards in a project called Wurzelwerk or root work. Each then made three separate wines using the grapes from each winery. They attempted to eliminate by letting the grapes ferment outside using the yeast clinging to the grape's skins. The result, I don't know. I was unavailable for the evening event which featured these wines but will link to Christian Schiller who posted about the project here. Instead this lunch focused on two wines from each winemaker from their estate grapes. 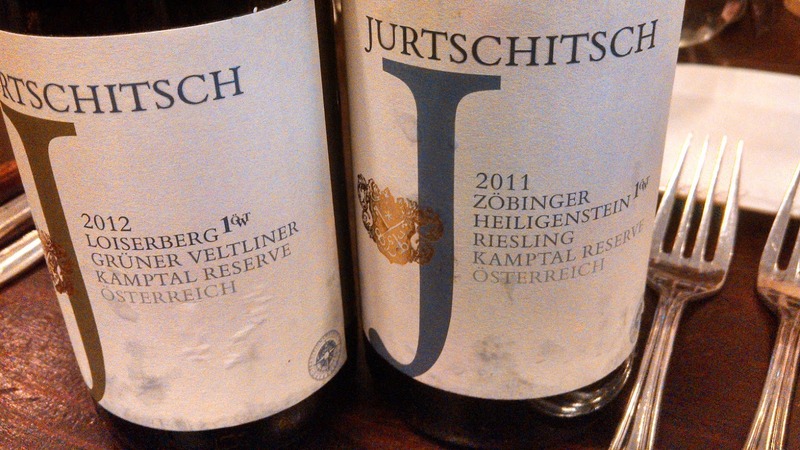 We started the lunch with the Jurtschitsch Grüner Veltliner Loiserberg 2012 Kamptal DAC Reserve, Erste Lage and 2011 Zobinger Heiligenstein Kamptal Reserve Reisling, with Alwin introducing us to their 150 year old winery. The winery itself includes a 700 year old cellar and is located in the Kamptal DAC, northwest of Vienna and west of . The steep hills of Heiligenstein ("holy rock") contain a unique blend of desert sandstone and volcanic soil which adds a salty minerality to the Riesling - a perfect match with our oysters appetizer. The Riesling also possessed a green apple flavor with plenty of acidity accumulated from the cool nights. The Grüner Veltliner has a more floral aroma, with a silky texture after being fermented in neutral oa and spending 10 months on its lees. These are two delicious wines. We then moved to the two Rieslings from Gunderloch, with Johannes describing the winery's three vineyards sites situated above the Rhine river and the 120 year family history operating the winery. An interesting story is that the harvest help has traditionally come from Poland, and as that country has become wealthier, the Polish workers still arrive for harvest, now using their vacation time to pick grapes. The first Riesling was the "entry" level 2012 Estate Dry Riesling ($15), but there was nothing entry level about this wine. It's a blend of grapes from the three vineyard sites and starts with green apples finishing in firm acidity. Very tasty and refreshing. 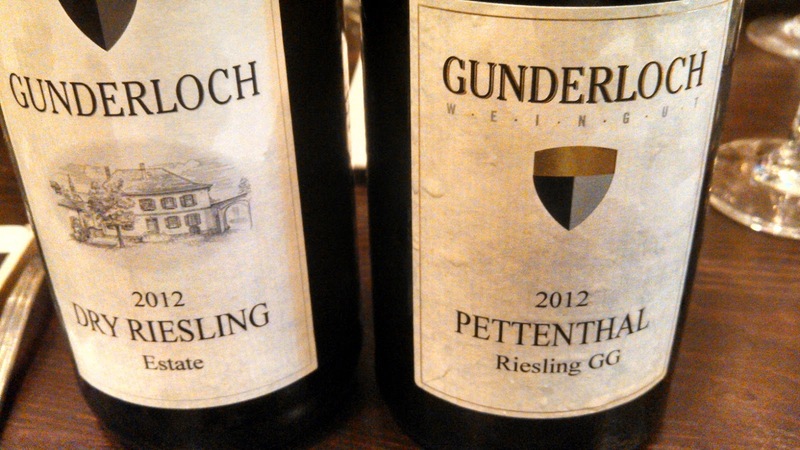 The second wine was my favorite of the lunch, the 2012 Gunderloch Riesling Dry GG, Pettenthal ($42). The Pettenthal is the only site on the Rhine with red clay soil and this single vineyard wine is equally fruity and acidic. But it's the creamy texture that allows the wine to melt in your mouth. The final presentation was given by Max von Kunow who brought along one von Hövel produced by his father and a second of his. The von Hovel estate was a acquired from Napoleon Bonaparte in 1806 ( a mini Louisiana Mosel Purchase) and Max is the 7th generation wine maker. Before Bonaparte confiscated the land, the manor house and cellar was the retreat for St. Maximin and are over 800 years old. And the wines match the winery's amazing history, these extremely low alcohol wines (7.5%-8%) are extremely fruity with a sense of sugar - yet 100% bone dry. The elder Kunow's wine was the 2008 von Hovel Riesling Kabinett, Scharzhofberger ($15) and has a peachy-apricot flavor, followed by a creamy mid and a refreshing acidic finish. The younger Kunow's 2012 von Hovel Riesling Spatlese Dry, Estate ($35) is all tropical fruit, again a creamy mid, with balanced acidity. There's no way these flavors come from an 8% alcohol dry wine. Pretty amazing. 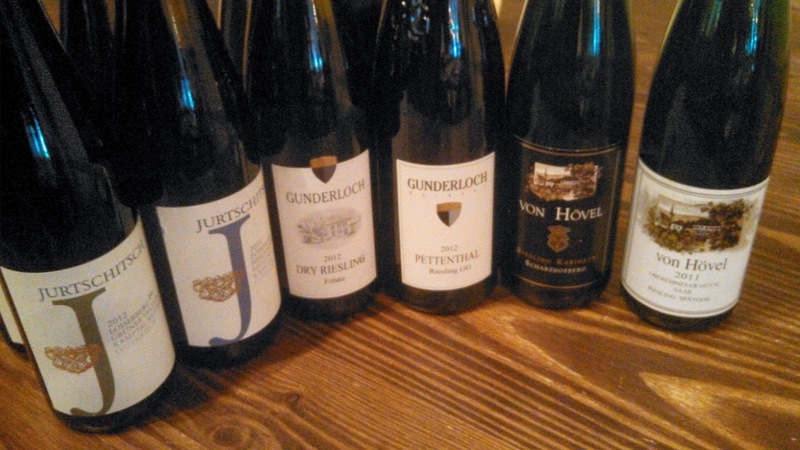 If you have a chance to find these wines from Rudi Wiest Selection or a retailer, grab them. 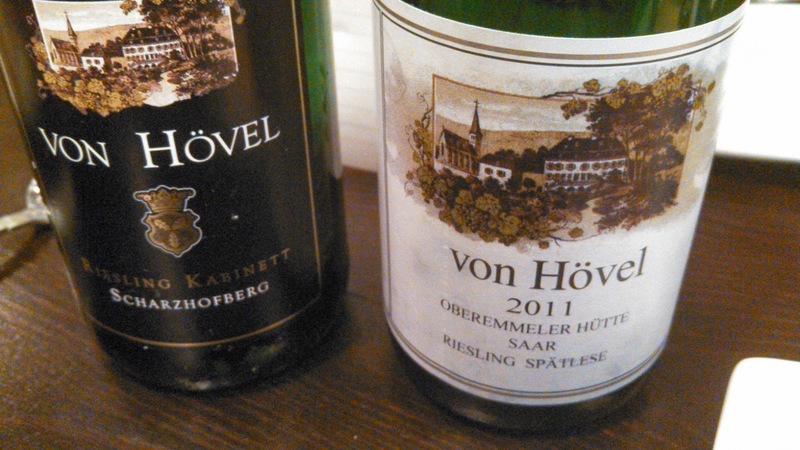 I learned today that the 2008 von Hovel Riesling Kabinett, Scharzhofberger is available online at Last Bottle. And I hope to post more on the Wurzelwerk project. Cheers to German and Austrian wine. On April 2nd, 54 Willamette Valley winemakers arrive in Washington DC to host Pinot in the City, a wine tasting event held at the Long View Gallery from 6-9pm for $75 a ticket. During the event, consumers will have the opportunity to learn more about what the Willamette Valley has to offer - directly from winemakers by hearing their individual stories. Pinot Noir is the most important grape variety in the region and accounts for approximately 70% of plantings. Pinot Gris is the next largest at about 15%, followed by Chardonnay (5%) and Riesling (4%). Since Pinot Noir will be the primary focus of the event, I asked three of the participating winemakers what differentiates Willamette Valley Pinot Noir from Burgundy and California's Russian River Valley? The consensus: expect very fruit forward wines with an acidic backbone. First and foremost differences are climatic, with Oregon’s Willamette Valley a bona fide cool climate and therefore similar to Burgundy, but like California dry during the growing and ripening season. Soils for all areas are different, so show nuance differences. More tightly wound and acid structured wines can be seen in Oregon and Burgundy, more overt fruit in Oregon and California. Oregon’s fruit is vibrant, fresh fruited and forward, with acids for great ageability and for the table. The short, simplistic answer is that no other place in the world has the combination of intense fresh fruit, backbone of acidity, and the specific flavors and tannins of the various Willamette Valley Pinot Noirs. The main differences are the soil, sun, and growing degree days. We have very similar growing degree days as northern Burgundy but less than Russian River Valley. We have very similar sun hours as southern Burgundy and different than the RRV in CA. All three winemakers agree that Pinot Noir will maintain primacy in the future, whereas Chardonnay and Riesling could overtake Pinto Gris. Other cool climate grapes such as Gruner Veltliner or Pinot Blanc may find homes, but "only Pinot Noir will be synonymous with Willamette Valley". Like Virginia and Maryland, wine tourism is a growing component to Willamette Valley wine sales, yet it can't rely on casual or day-trip tourists from neighboring metropolitan areas. Instead, the Willamette Valley is becoming a wine destination attracting tourists who spend several days touring various wineries. This is a result of the high quality of the wines, or as David Adelsheim states, "the Willamette Valley first developed around very high quality wines; tourism came much later". 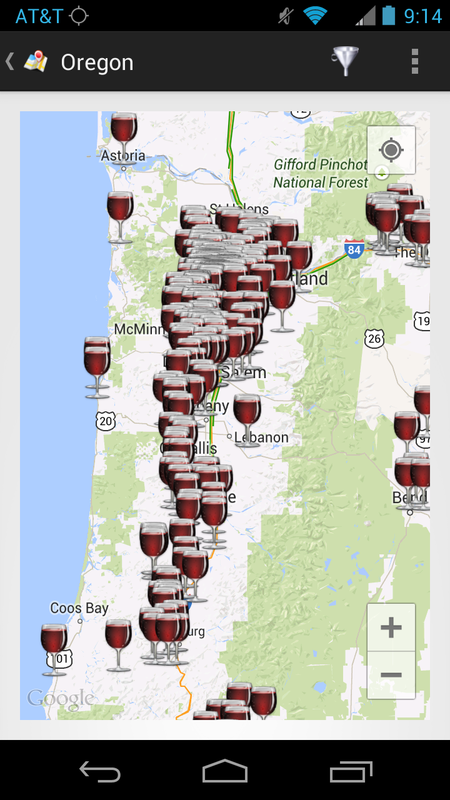 I've been thinking of planning a trip to Oregon wine country and I'm sure Pinot in the City will entice me further. I recommend readers do the same - at a minimum you will taste some extraordinary wines. Cheers. Or at least that must be how the FDA sees the world. Why else would the agency propose rules that "require that spent grain for animal feed be dried and prepackaged onsite in a manner that doesn't touch human hands." 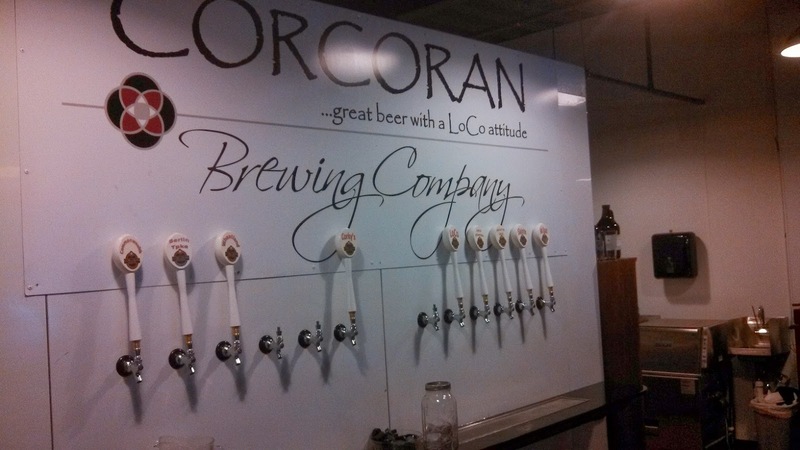 What is one source of spent grain - our country's breweries and distilleries. Instead of simply dumping the spent grain, most of these companies have established relationships with local farmers to provide the spend grain to supplement the diet of livestock. 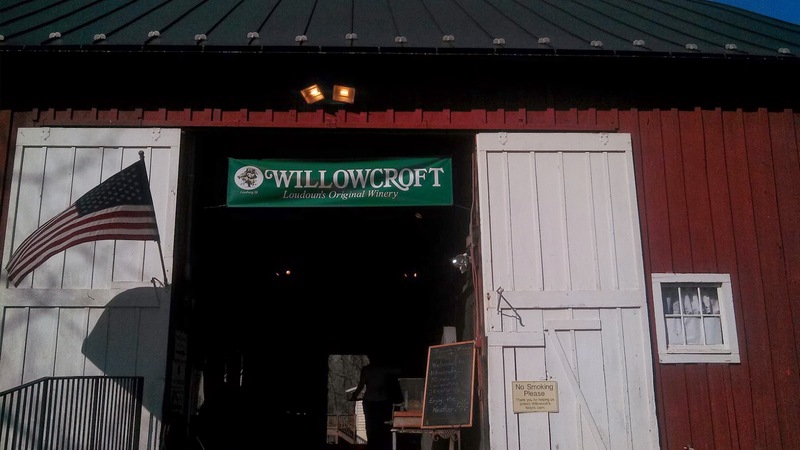 Scott Harris of Catoctin Creek Distilling Company explained how the cows that benefit from their spent grain rush the delivery truck when it arrives. (See the 18 minute mark in this MyJoogTV video and video below.) And not only does the spent grain supplement the diets, but it also hydrates the animals because the "wet" grain has soaked up the water. Yet the FDA in their wisdom now wants breweries and distilleries to prepackage the feed, adding production costs to the operations for those companies that provide their left over grain to farmers. Instead of packaging the spent grain, they could also choose to just dump the spent grain, adding other costs in itself. The FDA also wants to force brewers to dry their grain, removing any hydration benefits that farmers prefer. Perfect. Another example of government bureaucrats creating a problem where one doesn't currently exist. In this case, just let the invisible hand of the marketplace do it's thing. 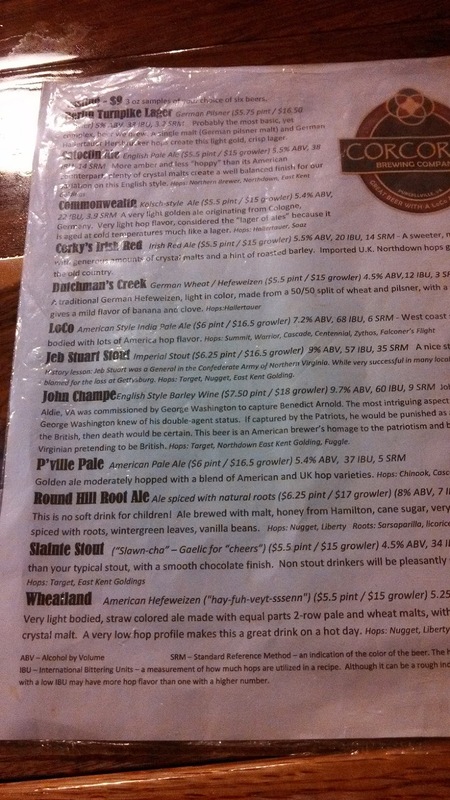 The Brewer's Association is on top of this situation and has posted these suggestions to brewers. 1. Communicate with your farmers that we will be looking for them to submit comments to FDA based on the draft farmer comments that we will circulate once final. Farmer comments should focus on the impact to their business of the proposed rules, the preference to receive grains "wet" from brewers, the lack of problems with receiving spent grains as currently in practice and the environmental issues related to a change in current practice. 2. Prepare your own set of comments to FDA based on the sample brewer comments, with an emphasis on how the current proposed rules will impact your business and any thoughts on how landfilling grains may not fit with sustainability efforts. 3. Sign up for the March 27 Power Hour and then send in comments after final revisions by the March 31 deadline. Let's hope these comments to dissuade the FDA. 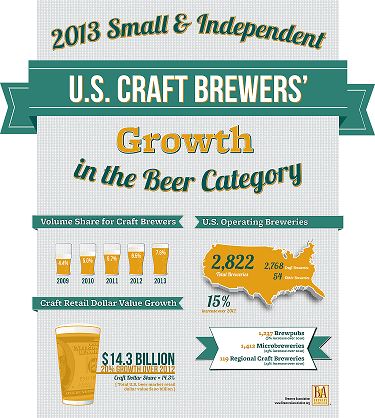 Beer and spirits consumers should also contact your local representatives in the House of Representatives & Senate. 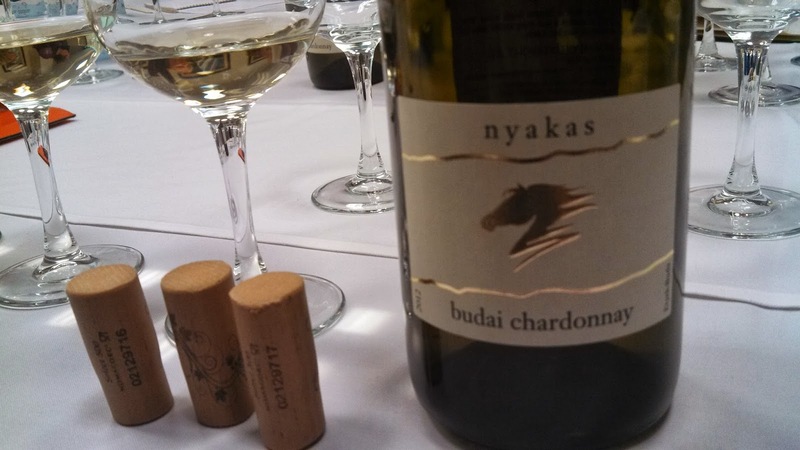 One of the wines we tasted while learning about oxygen management during my trip to Nomacorc was 2012 Nyakas Budai Chardonnay. 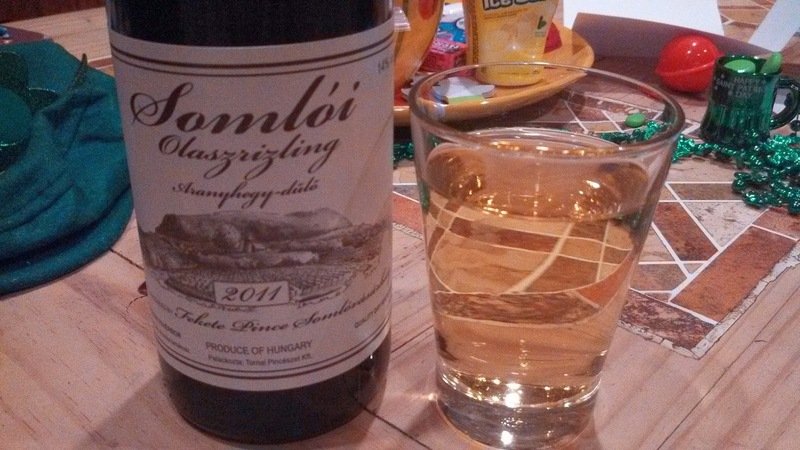 I immediately noticed this Hungarian producer because many of their wines are available in the Washington D.C. market. The winery focuses exclusively on white wines and is located in the northern part of the Etyek-Buda wine region. This is a newer regional designation with the Buda inscription reference the rolling Buda hills with the regional spreading westward towards the settlement of Etyek, only 19 miles from the capital city. The region's wine making history is quite fascinating. It is speculated that Romans planted grapes along the Buda Hills, but the first documented evidence starts in the 13th century when Serbian immigrants arrived, having been chased from their land by the Ottomans, and planted red varieties, probably Prokupac and Kadarka. At the time, the Buda wine region flowed along the Danube from Szentendre to Tétény. The Ottomans eventually reached Buda and Pest in the early to mid 1500s and ruled for a 150 years. Once the Turks were expelled, German immigrants were imported to resettle the area and they brought along many white grape varieties. After the phylloxera epidemic, many of these vines were replanted and their success led József Törley to establish his sparkling wine Törley House in the region. Other factors, of course, include the chalk and limestone soils as well as sharing the same latitude as Champagne. The Budafok sub-region now accounts for 70 percent of Hungary’s sparkling wine production. The rest of contemporary Etyek-Buda is comprised of boutique wineries, mostly small family plots, and because of it's proximity to Budapest, wine tourism is a growing industry. 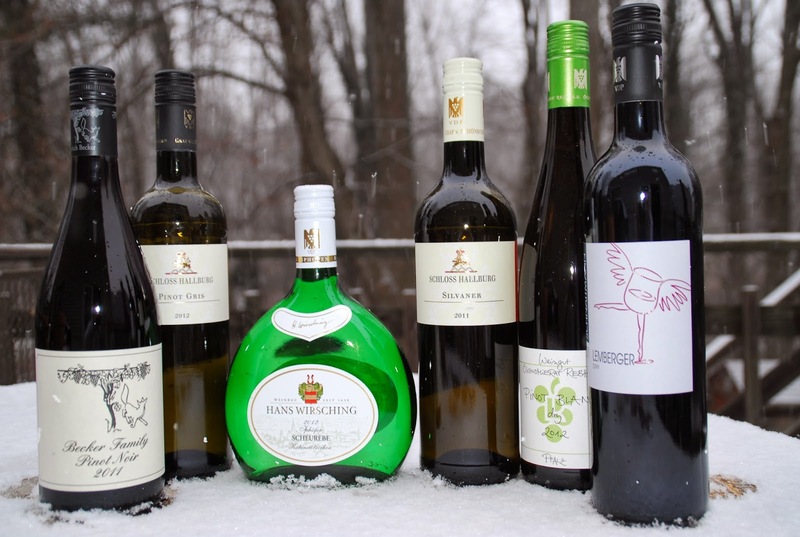 White wines still dominate: Irsai Olivér, Olaszrizling (Welschriesling), Szurkebarat (Pinot gris), Zold Veltelini (Grüner Veltliner), Rizlingszilvani (Müller-Thurgau), Chardonnay, and Sauvignon Blanc. Although not common, some red grapes are planted, particularly the indigenous Kadarka and Pinot Noir. Getting back to Nyakas, I've tried many of their wines in the past. The Chardonnay was tasted at Nomacorc imparted different sensations based on the corc used - but the flavor itself was very reminiscent of the Chardonnay grape. Their Sauvignon Blanc was very kiwi-ish in the sense of lemon grass flavors with nice acidity. I always enjoyed their Irsai Olivér and Müller-Thurgau with the former portraying that muscat aroma and the later a nice young wine. So if you find yourself in Budapest, head West into the hills to enjoy some whites and sparkling wine. Here's a video to give you an idea of the land - and a chance to learn Hungarian. Cheers. After leaning about how Nomacorc manufactures their corcs and market share of closures (See Part I), the subject turned to an issue that I was on vaguely familiar - oxygen management. And this is a subject Nomacorc takes seriously> yes, their raison d'être was eliminating wines tainted with TCA; but they quickly pivoted to helping winemakers eliminate wine faults due to the (mis)management of oxygen. In general, winemakers practice "reduction" techniques where they attempt to eliminate oxygen in most phases of the process. Small amounts of oxygen are needed at the beginning of fermentation as oxygen encourages the yeast to multiply, but afterwards oxygen may encourage the spread of acetic acid bacteria or turn the wine off-color. 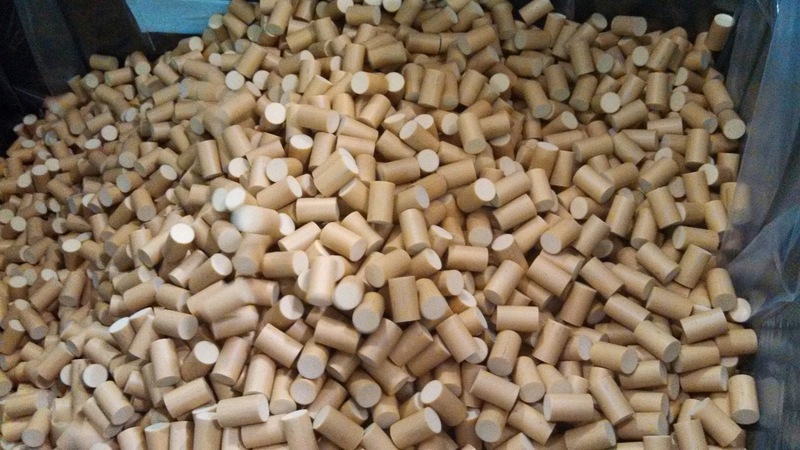 Thus, winemakers try to eliminate oxygen elsewhere in the process by using sulfur, inert gases and stainless steel tanks and then topping off barrels lost to the angels. 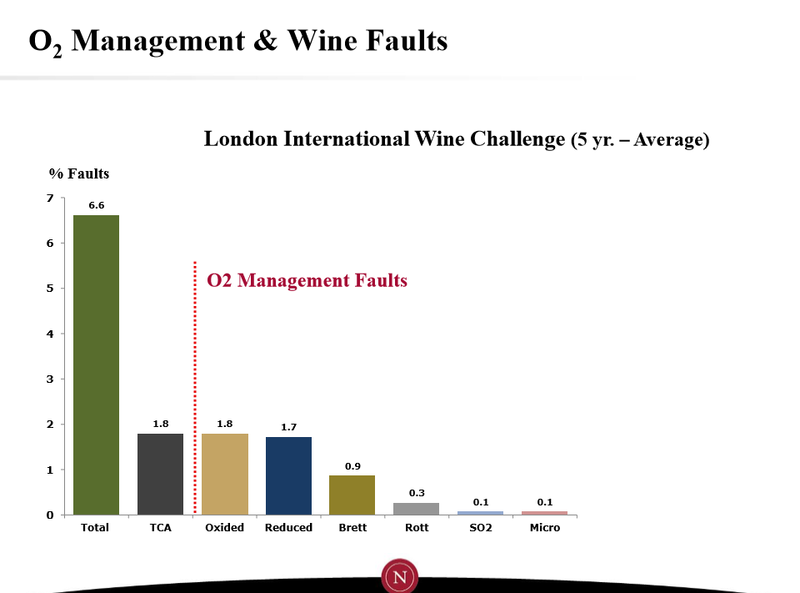 Usually winemakers are successful, but as this graph shows over a 5 year average, about 5% of the wine were characterized as faulty due to oxygen (mis)management. And a similar study from the San Francisco Chronicle Wine Composition found 2.4% of the wines were faulty due to O2 management. These oxygen (mis)management faults can be introduced in all phases of production, but this chart on Oxygen Management Objectives shows that the biggest variation in optimal oxygen exposure result from bottling, with smaller non-optimal exposure in materation and bottle aging. This chart was an eye-opener; I've witnessed some poor bottling techniques and I'm sure these wines aged poorly. In order to assist winemakers to determine how much oxygen is imparted into a bottled wine, Nomacorc created the NomaSense™ Oxygen Analyzer System. These sets measure that amount of oxygen exposure in headspace of the bottle as well as the dissolved oxygen in the wine itself. Pretty cool. 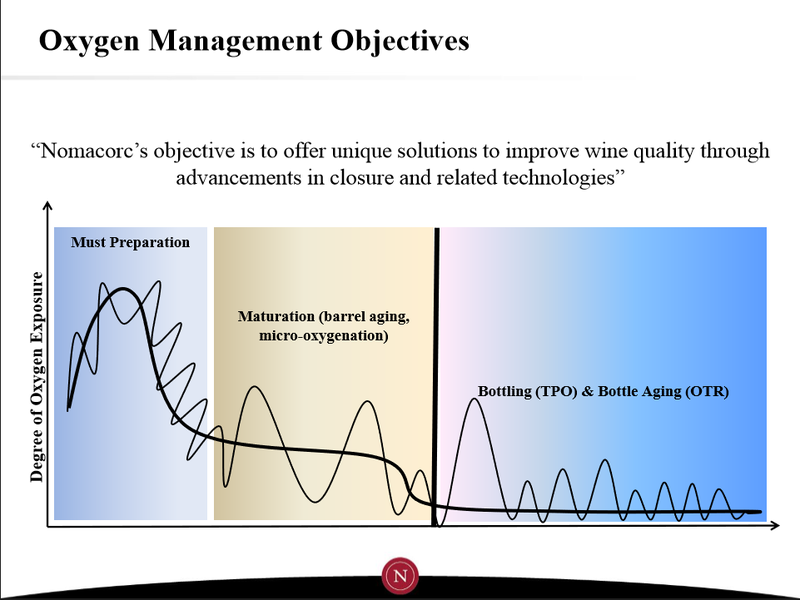 Getting back to out Nomacorc sessions, first Vice President, Strategy & Innovation Malcolm Thompson presented Oxygen Management Strategy & Objectives - by showing how different closures provide different Oxygen Transmission Rates (OTR) which usually lead to different tasting wines. At the extremes these different rates can create oxidized or reduced faults, but in the median arbitrary transmission rates lead to different tasting wines - even when opened from the same case. Wes Ward, Technical Sales Manager, Americas & South Africa, then lead a session on Oxygen as a Winemaking Tool describing the chemistry and actual senses perceived due to different OTR. Nomacorc initially handled oxygen transfer rates by creating a closure that imparts a consistent rate for each and every Classic corc - all a result of their co-extrusion technology. They eventually leveraged this technology to launch a new product line called the Select Series, which allows different (but consistent) oxygen transfer rates into the bottled wine. The Select Series consists of four corcs (100, 300, 500, 700), which will provide less to more transfer rates as the series progresses higher. 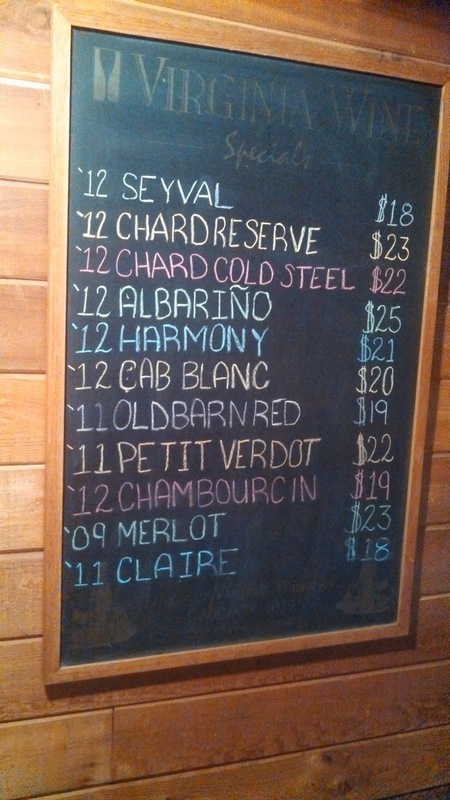 But what corc should a winemaker choose for each varietal wine? Nomacorc has automated this decision making process by creating the Noma Selector - as software application that guides the winemaker through the decision making process. Thus Nomacorc is confident that by utilizing their NomaSense™ analyzers with the Select Series, winemakers can improve and extend the shelf-life of every bottled wine. But does it matter to the consumer which Select Series is utilized? Our final session of the visit tested this question by tasting a white and red wine bottled with three different Select Series corcs. We started with the 2012 Nyakas Budai Chardonnay by blind tasting three versions, and even with the short bottle aging, produced three completely different wines. The first glass was very light, citrus, with a lemongrass-acidic finish; whereas the second was more Burgundian with more minerality and depth. The final glass was funky and the 500 series corc closing this wine had allowed the most oxygen to transfer. The first glass was corked with the 100 series and the second with the 300 series. Our red blind tasting consisted of the 2009 Clos des Cordeliers Cabernet Franc which had been bottled with three different corcs in April 2011; providing three years of bottle aging. The first glass was a fruity wine, with plenty of cherry flavors and dusty tannins. The second glass was earthier, still a nice cherry flavor, finishing with smoother tannins. The final wine was musty, acidic, and not pleasing. Once again, three completely different wines, all bottled on the same day, but aging distinctly due to the Select series corcs utilized (300, 500, 700 in this instance). 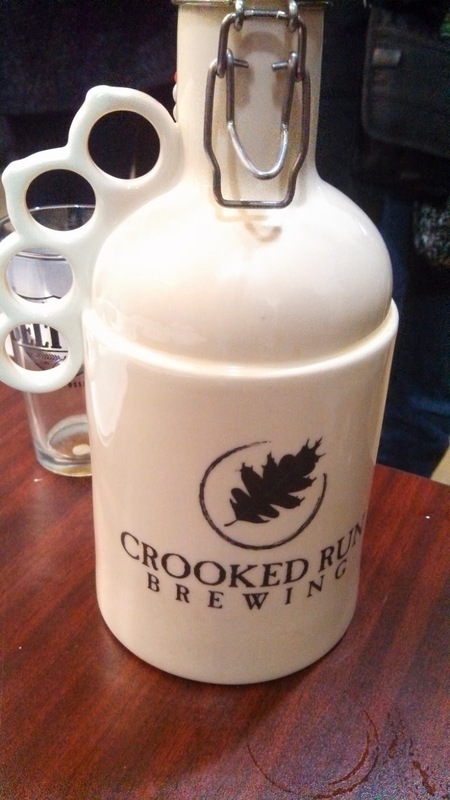 Last night, along with over 100 other people, I attended Crooked Run Brewing Shadow of Truth Release Party held at Beltway Brewing Company in Sterling VA. Crooked Run is located in Leesburg's Market Station (great bicycle access off the W&OD) and brew non-traditional English and Belgium styled ales at this location. However, they have decided to expand capacity in order to target a wider consumer base, and to meet these goals, have contracted out with Beltway Brewing (See my first visit to Beltway's facility). 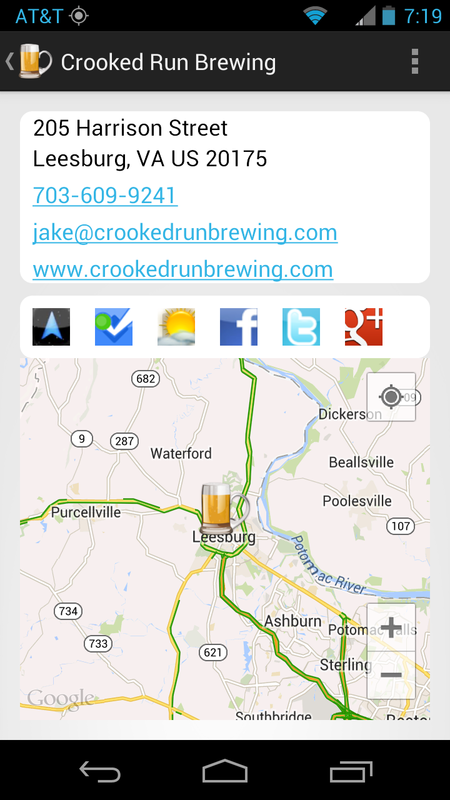 And the first beer Crooked Run chose to distribute is their Shadow of Truth - a black Belgian tripel. The beer is brewed with debittered black malt as well as a smaller portion of Vienna malt. The result is an extremely smooth beer, not overly malty and which masks the 8.5% abv quite well. The finish is balanced with just enough hops for a smooth transition but not an abundance to override the flavors. 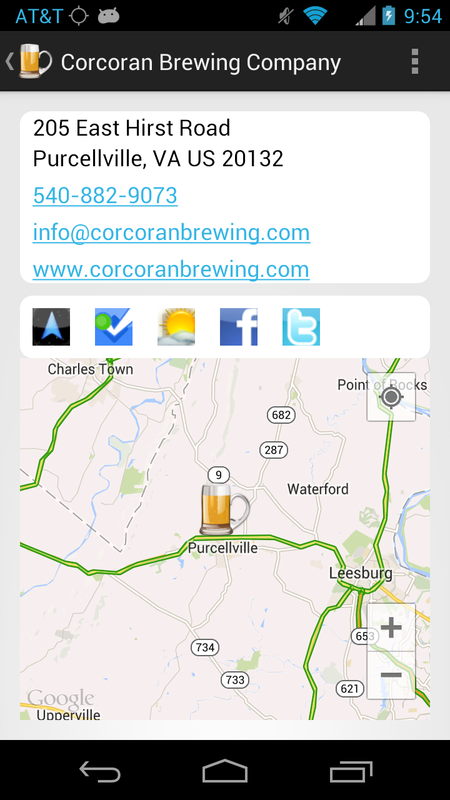 The beer should be making it's Metro DC debut this week so check out Lost Dog Cafe, Whole Foods, Rustico, Fireworks, World of Beer or any of the other well represented craft beer outlets in the area. For me, I need to bike out to Market Station to try the remaining portfolio. Oh yea, almost forgot. 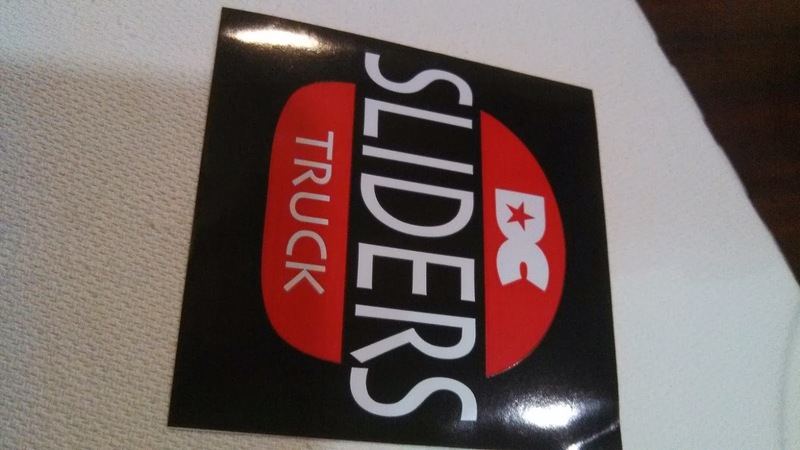 The DC Sliders truck was on hand providing very unique sliders - try the Elvis if you see them. Cheers.